I posted previously about ‘Tactical Mobility – How it might affect you’ and I have also written about realistic PT for light infantry style operations. The Tactical Mobility post led onto another discussion, carried on a little in comments, about realistic times for ruck marching and similar. I am writing now to clarify that a little. 1. Much of these ‘ruck march/runs’ or ‘tabs’ as I call them are pure non-tactical physical conditioning events to a particular standard, whether that be a standard infantry unit or a special operations force. You are likely to not be making that standard now. Even for veterans of those units, age and shot knees (the frequent result of all that tabbing!) mean that those times would either be unrealistic or unwise. These events are pure physical training and the only real tactical application other than the general load carrying and fitness benefits would be if you had to do a rapid reinforcement of a fellow unit under attack. 2. When moving tactically with a load you are patrolling, and therefore moving at patrol speed. The importance then is the ability to carry heavy loads over long distances. And they will be heavy loads, because if you are rucking into an AO you will need to carry much of your logistics with you, such as food and ammo. Refer to the tactical mobility post linked above for alternatives to man-carry. You may well drop weight once you begin operating from a patrol base and go out ‘travel light freeze at night’ with your patrol load only. 3. The importance when you are operating operationally, rather than non-tactical physical training events, is to be able to move and carry your load, which will be heavy whatever you say, and remain alert. You have to be able to shoulder the load and still patrol in an alert manner. You are not just shambling along feeling sorry for yourself. If/when there is a halt, you should not be either standing there taking a breath or flopping down. You should be taking a fire position, at least taking a knee. With a ruck, for a longer halt you need to take it off your back and get down next to or behind it. For a short halt this means taking a knee, facing out and watching your sector. This is where all your elements of fitness combine: physical strength to carry the load, conditioning to be able to walk with it without getting excessively tired, and endurance to keep doing it all day and night. 4. Studies have been conducted into the weight that a modern infantryman carries. Conclusion: it is too much. However, even given that you will still be carrying a heavy weight; it is unavoidable if you are going to survive and operate out there. Even after rigorously paring down equipment, your basics will still weigh an amount: rifle, plates, ammo, optics, food, water, sleeping equipment etc. Gear + Rucks HERE. You won’t carry your ruck into an assault, and you will carry a lighter patrol pack when leaving your patrol base to go on a mission. That is gear and logistics planning for your movements and missions. Refer again to the tactical mobility post if you find you have to move larger logistics loads and they are beyond the capability of your team to ruck them in. 5. I have talked before about the ’10-miler’ which is one of the tests and standards for British Airborne Forces. This is a ‘tab’ which is like a ruck run/march conducted with a 35lb ruck and rifle. When you do this as part of pre-parachute selection, it is hard. It is not done fresh, because it is part of test week which follows the ‘beat up’ phase of multiple weeks and it is one of 10 events on test week. Doing this event as an instructor, it is not hard simply because of mental confidence and physical conditioning. But it is still a stringent standard that you would fail if you gave up on PT. This event is a mix of speed walking with your ruck, swinging your legs open as much as possible and swinging your rifle across your body to gain the momentum to maintain the pace, and running. It is done at the pace and command of the PT instructor who paces it. 10 miles in 1 hour 50 over hilly terrain makes a pace of 11 minute miles. I would suggest that if you are out there training now you would better look at a realistic pace of 15 minute miles for anything from 35 – 50lb loads. 6. I am going to discuss something here, that I have not discussed previously, to really put all this rucking into perspective. UKSF selection is based around essentially rucking long distances, navigating your way from point to point. UKSF selection is not only SAS selection – it used to be, but now UKSF units combine through the selection standard and go their own way for continuation training. So SAS selection is part of UKSF selection, followed by specific continuation training. UK ‘SF’ is not the same as the US Special Forces, which is the Green Berets, a specific unit. The terminology used is different between the UK and the US and the units do not have exact equivalents. In fact the UK has no specific equivalent to the US Special Forces. You may or may not know that ‘Delta Force’ came about following an exchange with a US SF officer serving with the British SAS, and that the ‘Delta selection’ is modeled on UKSF selection. In fact, for one selection course on the South Wales training areas, where UKSF selection takes place, the areas were out of bounds due to an outbreak of foot and mouth disease in cattle and the whole selection course was moved to the Delta course in the US. 7. The standard pace over the mountains of South Wales (Brecon Beacons and surrounding locations) on UKSF selection is 4 kilometers per hour. This is carrying a dry load of 55 lbs plus rifle, food and water. The rifles are decommissioned SLR’s (FN’s). It is important to note that this is a straight line distance between check points. The candidate has to navigate between checkpoints and the terrain is steep and you can never go in a straight line. So clearly, the actual pace is faster but it is worked out on the straight line distance between points at a 4 kmph pace. 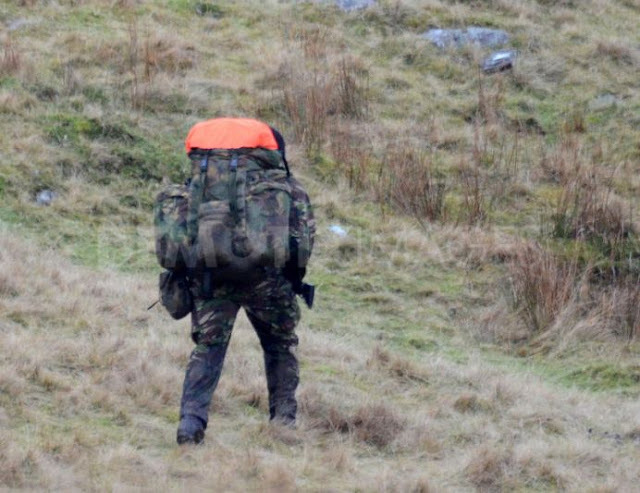 UKSF selection is roughly 5 weeks long and it starts off with general PT, runs and rucking and then rapidly moves out onto the hills in groups. There are a series of ‘DS’ (‘directing staff’) led tabs that are designed to teach you what the 4 kmph pace is, which works out as 1 km every 15 minutes. So you will be in a group and one person will be given the coordinates for the next leg. They will have to navigate that next leg and get the group to the next checkpoint within the assigned time as a factor of the distance in a straight line. During these tabs ‘work stations’ are thrown in which will involve anything from running round a forestry block first without then with your ruck, or going up an impossibly steep grassy hill first without then with your ruck. Pretty much the whole point of the UKSF selection, otherwise known as ‘the hills,’ is to weed people out. They are trying to get you to ‘VW’ which stands for ‘voluntary withdraw’ or otherwise break you. The way the course is set up and the sheer amount of activity means that you will be broke or exhausted and it is designed to test your mental endurance. As you get further into the course you find yourself on your own navigating across wilderness mountain country in South Wales. Each day there is a tab and it will be anything from five to eight hours long. If you fail the time, you get a ‘red card’: two red cards and you are out – RTU ‘returned to unit’. You find yourself laboring up very steep hillsides and running downhill when you can to make up the time. It’s all down to your navigation and route selection and your ability to keep going at the required pace. 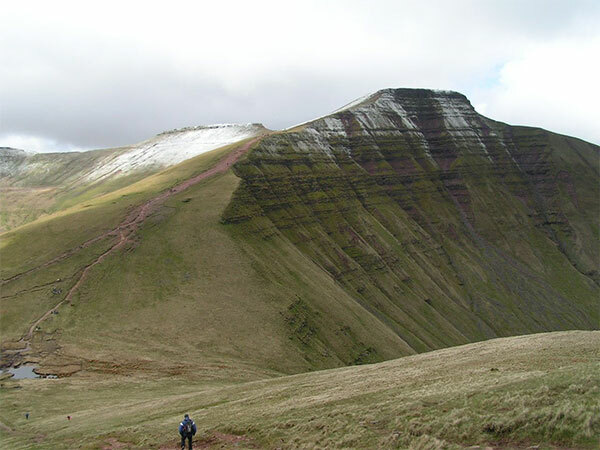 In the Brecon Beacon area there is the highest peak in South wales, called Pen-y-Fan or ‘The Fan’. These are not huge mountains like Montana or Rockies style mountains, they are more like hills, but they are steep and cut through with valleys. It is hard to maintain elevation due to the way the check points are set out. There is one valley which is specifically called ‘VW Valley’ and it is a steep grass sided ‘V shaped’ valley that you simply cannot avoid on at least two of the routes. You have to make it down into it and then back up out of it again. 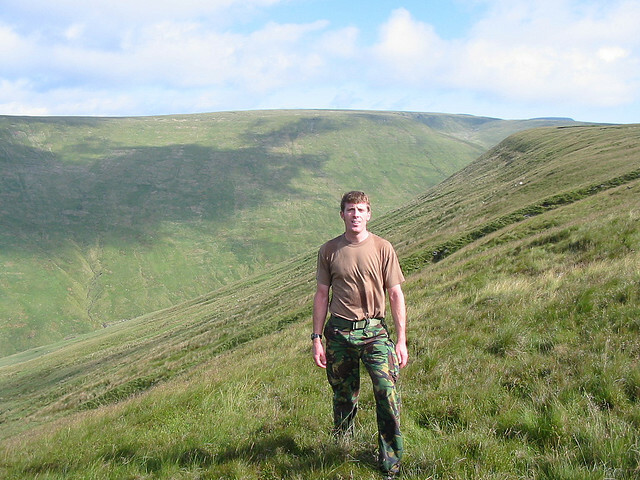 If my memory serves me right, just before the actual test week you do a series of marches in the Elan Valley, you then get a day off and hit test week. The Elan valley is not really even as hilly as the Brecons, but it’s just a nasty wilderness area which is really bad for ‘babies heads’ grass. Most of South Wales is sheep farming country and this training or private farmers land is just mostly open hillsides. Often it is covered in grass which often grows into tufted clumps of dirt and grass which is termed like ‘treading on a babies head’ (I know, very distasteful). This can make movement a nightmare and often the only way to get through without turning an ankle while making any speed is to find a sheep track and follow it. I noticed that there were all sorts of mega-fit guys who just faded away on this course. On the first Sunday that you arrive you do the standard army combat fitness test. Except it’s not standard. At the ruck weigh-in a DS decided I was underweight and put a rock in my ruck. Then, it starts of with a ‘run away’ which is where the guy leading it heads of at a really fast pace and the squad, which is a large squad of everyone who showed up for the course, just concertinas back with guys dropping back, guys trying to pass them and get up, and then the squad just dissolves into a straggle of guys trying to catch up with the DS. Of course, the time is the standard army CFT time but this tab is over the hills so it is really hard. As usual, after a ‘run -away’ if you manage to hang off the back of the front group close enough you will eventually catch up and the squad will reform and slow down. I remember at a halt later in the march looking around and seeing these super fit guys all raring to go like race horses and wondering how I was going to make it. Did I think about that rock the whole way round? Darn right I did. I’m more like a keep going at a steady pace but never give up kind of guy. I remember weeks later in the Elan valley passing some of these guys. Lot’s of them VW. They always have a reason that justifies it. Sometimes they are injured, and sometimes genuinely enough to take them off the course. I was injured too, as were others who completed the course. Mostly, these guys have just given up. It’s mental. Test week starts off with two marches in the Elan Valley, Elan north and south. You are not allowed to use roads, or look like you are using roads, at any time on the course unless its within 100 meters from a checkpoint that is on a road. Elan north and south are hell. One of the earlier marches in the course was on the Sennybridge training area, which is the field firing ranges near to the Brecons. I remember coming on to a road near a checkpoint and running in. The DS watched me the whole way. Then, when I reported to him, he told me I came onto the road more than 100 meters away and made me run back. That was 200 meters. You have 15 minutes for every kilometer, as the crow flies. Darn it, 200 meters is a long way! Did I think about that 200 meters? Darn right I did! Mind games. The checkpoints would either be at a Landrover parked off a road, or at a guy in a tent or bivvy bag up on the hill somewhere. You would come into the checkpoint alone, check in with him and he would give you the next grid coordinate. You would have to show him on your map where it was before he would let you go. I would call it ‘getting bad copped’ at some of the checkpoints; depending on how bored and what mood the guy would be in he might give you a hard time, or sometimes he could save your life. Sometimes the checkpoints would have water to refill your canteens, but only the ones with vehicle access. Camelbaks were never allowed. In fact, there was no real load carrying requirement other than the ruck. 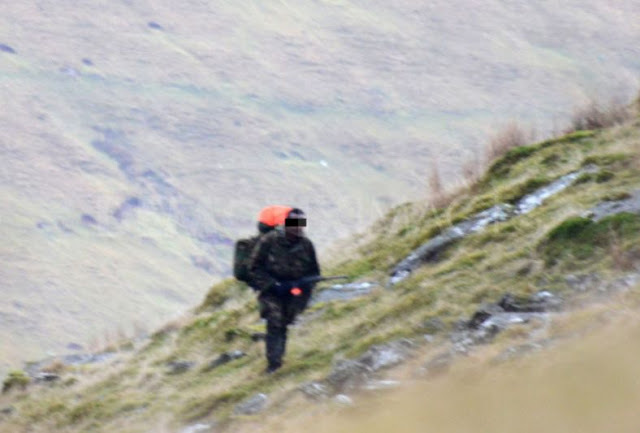 You would be dressed in your combat clothing (BDUs), windproof smock etc with no identifying badges (the Brecons is civil National Park land and it is an odd tradition that SAS selection has always taken place there). You could wear a belt with your canteen and food pouches on it but it was easiest to use the waist belt on the ruck and put your canteen and energy food pouches directly on the padding part of that hip belt – then you would not get chafing from an additional belt. On test week, after the two Elan tabs, you go back to the Brecons for Iron Man and Point to Point. These are both long tabs like the Elan ones and take around about 8 hours each day. Hell on a stick. I was doing the Iron Man tab, when I fell running down a hillside. I later found the internal frame of my ruck broken, which probably took the bulk of the force and saved my back. I felt OK and completed the march. That evening, I lay on my bunk and tried to get up for chow. I could not move. Agony in my lower back. I saw the medic who thought I may have slipped a disc and he gave me some sort of co-codamol/proxamol type something painkillers. Turns out later the injury was actually to my sacro-iliac pelvic joint, which is not supposed to move, it’s one of the fused joints. I got out the next morning on Point to Point, which is perhaps the worst of the test week tabs, and it was not fun. I was moving but it was not fun, and with the pain in my back I found I could not run downhill fast or much at all, more like a shambling fall/limp/run. This made it hard to make up time. My route made VW valley the last thing I had to do that day. Prior to that, I had to head down into a valley and then up a very steep slope to the checkpoint then head across the VW valley to the finish point at a dam. However, due to my slow speed I had made the previous checkpoint right across at the north-east side of the ‘fan’ massif late in the day and the water was gone. No water. So I was going up this endless slope (this was a summer selection, there is one summer, one winter, every year), the trail was was sort of stepped in the dirt where others had used the trail, and every time I looked up I could see right at the top, sky lined at the lip of the slope, the DS watching me. When I eventually made it, he looked at me like I was a retard and asked me what was wrong with me. I told him I was out of water and he traded me for a full canteen. Told you, saved my life, no ‘bad cop’ there that day. I headed off towards VW valley. However, before I had hit his checkpoint I had taken the rest of the packet of painkillers. As I got away from the checkpoint the water he had given me hit my belly and I started vomiting white froth. I checked later and the painkillers were paracetamol based so I was probably lucky to vomit (paracetamol is a favorite for suicide overdoes, even if you survive initially it has usually killed your liver and you will die anyway). I hit VW valley and of course it was hell. I made it through and finished the march. I was late, so I got a red card. But I was not RTU because, although late, I had not given up and I had completed it. I now had one more march the next day followed by ‘Endurance’, the final long march. I wasn’t sure if I was going to be able to do it. Frankly, I wanted to sit down, curl up into a ball and cry for my mom. The next day was ‘Ricochet’, which was a ‘shorter’ march of around 5 hours. The medic gave me another type of painkiller and it sat better with me. I set off and to my eternal relief I was not in too much pain and I was able to complete the march in time. I was set for the final march, which is Endurance. I have no idea how long Endurance is. It is at a slower pace than the other marches but it is maybe around forty miles. I recall you have maybe 20 hours to complete it. Again, it is checkpoints with a staggered start but everyone is staggered on the route so you see more people. 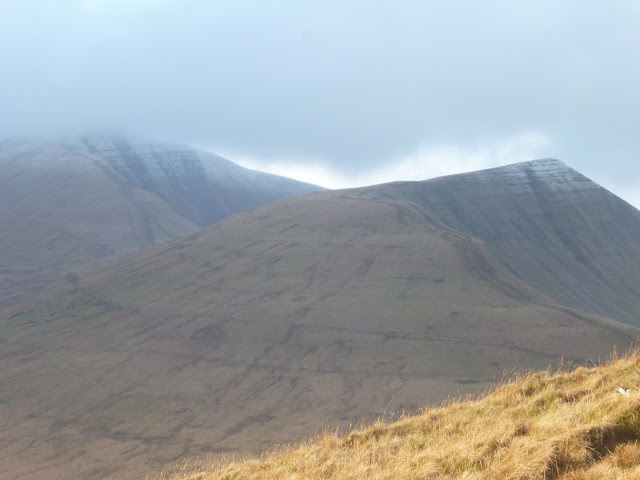 It is a route on the Brecon Beacons from east to west then back east by a different route. I remember setting off up the hill at 0300 hrs in the mist. As dawn broke, I was heading west along the Pen-y-Fan knife edge ridge. Later that day we got to a reservoir. The finish is across a dam at the end of the reservoir, but the valley the reservoir is in goes on forever, shaped so you can’t actually see the dam until you get much closer to it. Initially, we did not think we had far to go. It was maybe around 16 hours at that point. But the reservoir took forever and we only had 20 hours and we were running, shuffling down the trails in the forests around the reservoir trying to get to the end before our time was up. Two exhausted guys shuffle running as fast as we could, shambling along in a desperate attempt to make the finish. We got to the dam and even ran across it. We completed it in 17 hours. It was a very hard course and very rewarding to have passed it. I think that whoever you are, the way the course is designed will take you beyond your normal physical capabilities, physically break you in some way, so that your mental determination is being tested. That is the point . After that, its time to move on to continuation training. You drive your own vehicle to the next place. The back injury was not fun – I remember later that week being dropped off out of a van in civilian clothes to do a close target recce on someones farm. i.e. a real farm whose owners had given permission for people to creep around at night. Disclaimer: I am not claiming to have served in 22 SAS Regt. Well, that went on longer than I expected! Memories…. Some countries limit you to purchases of 9 or fewer pills in an attempt to reduce the suicide rate. I really like your site.thanks! LOL – I don’t know, I never saw a boathouse….! But let’s not set up the ambush from opposite sides of the road eh.. I do know its pronounced He-Re-Ford, not HEERford like DeNiro says it…. Based on this article, the idea when doing ruck conditioning is to get stronger but not suicidal; to get strong enough to carry what you as an individual will need for, let’s say, 72 hours (based on whatever equipment standard you choose to follow) and move for long stretches without becoming exhausted. One example of this I keep going back to is Paul von Lettow Vorbeck, who had to move almost everything in his army, including artillery, with human hands. His memoirs on the East Africa Campaign reveal that at the front of his column were several men in a line formation, each one carrying a Maxim machine gun (40 lbs!). Most civilians, especially those of us with underlying medical conditions, would have a very difficult time meeting the UKSF standards. However, your 15-mile minute with ruck, I think, is very practical. In the American Civil War, Sherman’s army (each loaded with about 40 lbs of gear, foraging what they needed) moved an average of 25-30 miles a day. Um, yeah, that 15 minute per mile pace you describe as “practical” is in reality, a ball smoker. It may not sound so bad (to the uninitiated), but try keeping it up for 10 or 12 miles without stopping, much less the 25-30 miles a day you cite. Also, besides the sheer physical exertion required is the fact that unless you do it frequently, with well-broken in boots, and a system that over time, you’ve figured out through trial and error the right combination of boots and socks (and other tricks that work for some but not for others like taping your feet, etc.) you will get blisters. Big, painful blisters. Just blisters if you’re lucky. I’ve seen guys with flaps of skin literally hanging off their heels and boots stained with blood on the OUTSIDE. The reason why units use rucking as a form of conditioning is precisely because of how tough it is. It’s a test of the physical, but more importantly the MENTAL toughness of your unit. And as Max goes into great detail about, there’s a reason why nearly every really tough military school uses rucking as a way to weed out the weak. Because it works. Nothing will weed them out faster than a go/no go ruck march for time. A 15 minute per mile pace with full combat load (35 lb ruck (not counting water, chow, ammo), rifle, fighting load) is NOT sustainable for long distances unless your unit is HIGHLY conditioned. The fact that a guy like Max or Mosby shrugs off a 15 min per mile pace does not mean that the average soldier much less your typical militia bubba can do it, much less keep it up for days on end. Anyone who tells you differently is full of crap. I didn’t say that everyone should do a 15-minute mile for the entire duration of the route (but why not go for it? we’re talking about war-fighting skills, after all). A 5k at that pace would be a sufficient maximum limit at first, then others who want to go on longer stints can do so. Will they be able to get to that level in the same amount of time as a soldier in a military fitness program? Probably not. It took me six months to go from no running, to the elliptical, and then running 1-mile stints on a track. The same benefits can be had with ruck exercises. I’m 66 and I walk in my mountain area for fun and to take pictures. I do about that, 4 mph, for many miles and I have about 3000′ of up, out back, I like to wander about on. I have GPS in my phone and it does accurate tracks, time and speed. Now I carry very little, about 10lb, and I have been doing this for a long time and usually keep it under 8 miles or so, but I a doing this for fun.